Today, the United States is celebrating Veterans Day: a special day that honors the brave men and women who have served (or are currently serving) to defend the nation and its interests abroad. Spending it with your war veteran father and grandfather is the best way to spend your day off: prepare the grill, glaze the meat with manuka honey, and hear their war stories while downing several cans of beer and chomping on freshly cooked chicken and beef. 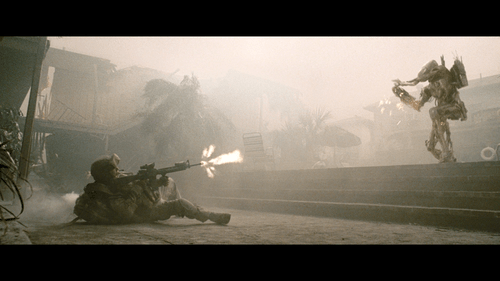 As soon as the day ends, we recommend that you gather up the whole family and watch a war flick. No, we’re not saying you should see overwatched films about the Vietnam War and the 2nd World War, try watching something with a futuristic and an out of this world theme: literally. 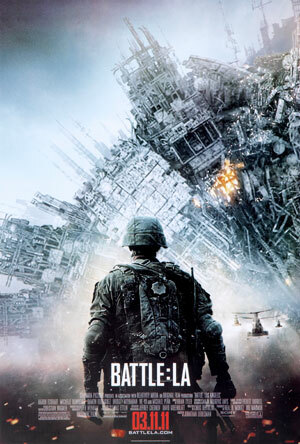 How about watching a flick about the military tussling with extraterrestrials? Although spacefaring aliens with superior technology have nothing to gain from our planet, the Earth is unique, due to the fact that it has vast amounts of water. The main reason why the ones in this movie invaded is because of our liquid H2O, which is both their life force and their fuel. Another hinted reason why they came over and paid a violent visit is due to their home planet being torn by strife and warfare. That being said, they may not have been the more dominant species in their planet: they could have been driven out or were survivors of a war, judging from their relatively low-tech weapons, vehicles and means of travel (which are still undeniably more advanced than our own). The movie is told in the eyes of Staff Sgt. Michael Nantz (played by Aaron Eckhart), a veteran who lost his squad in his most recent tour of Iraq. They battle the aliens in an LAPD police station, drive a school bus to get to safety while taking down a large alien aircraft (which turned out to be a drone). You’ll see the M1 Abrams tanks, as well as numerous helicopters and planes defend the city, a must-see for every veteran and military hardware fan and enthusiast in this year’s Veterans Day. If you haven’t watched this movie yet, you may have been living under a rock in the past 18 years. 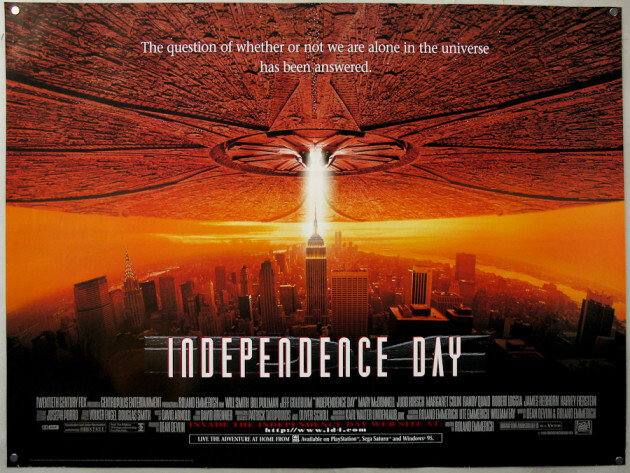 This film was supposed to be released on July 3, 1996 but presumably due to people camping out in movie theaters, it was released July 2, and was met with throngs of movie goers. If you’re worried about the “outdated” special effects, don’t worry: it was the best of its time and is one of the best films of all time, ranked 43rd. The aliens in Independence Day look more like cliché types: large heads and humanoid bodies, although they’re wearing biosuits most of the time. 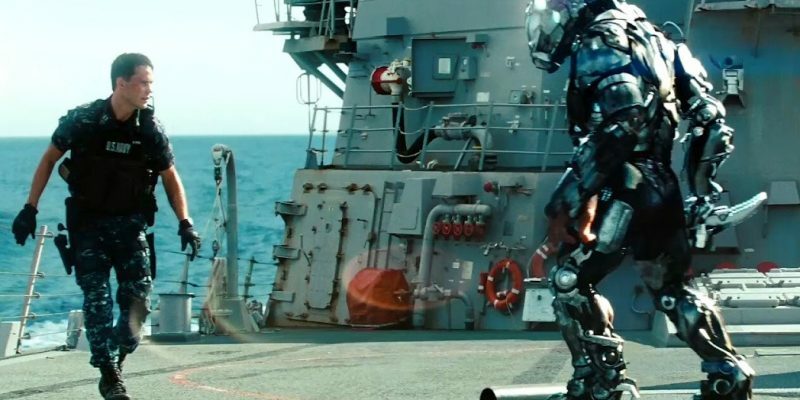 Although they are physically vulnerable, their technology is far more advanced, as evident by their laser weaponry and protective shields: even a nuclear warhead wasn’t enough to penetrate it. 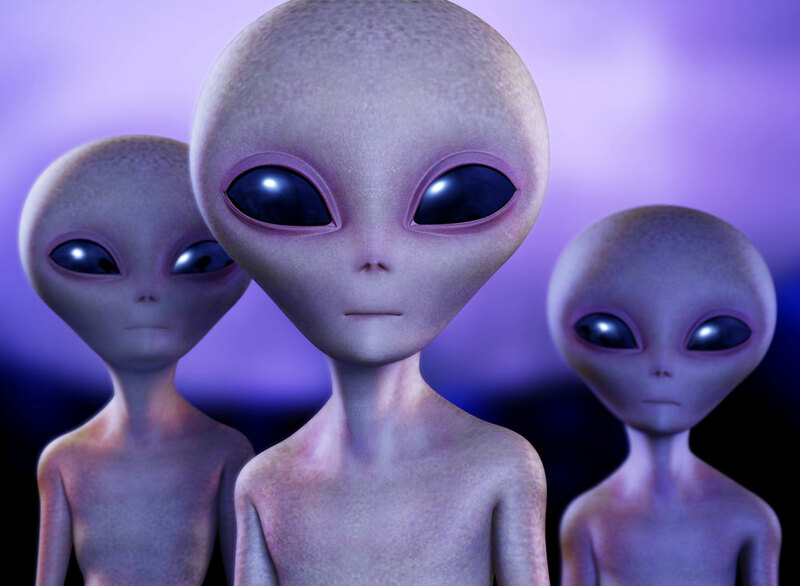 Basically, they are a race of spacefaring beings who invade a planet and devour its resources, before moving on to the next target, bringing along their ships and civilization with them. The cast is headed by the prolific Will Smith, playing the role of Captain Steven Hiller Air Force Captain and a pilot of the beautiful F/A-18 Hornet. Bill Pullman plays the President of the United States while Jeff Goldblum plays the man who was responsible for making the alien ships vulnerable to humankind’s weapons. 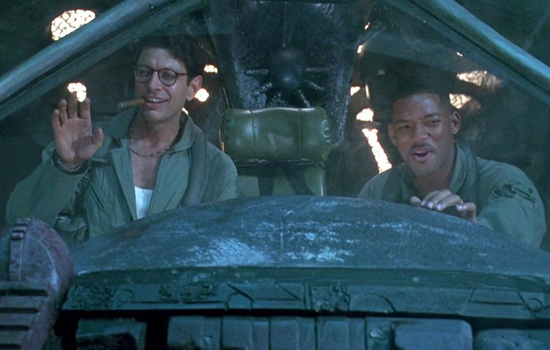 Here’s Will Smith and Jeff Goldblum making a nuclear deposit to the aliens’ mothership. Following the initial attack, major cities in the United States are left devastated, the same with that of the rest of the world. 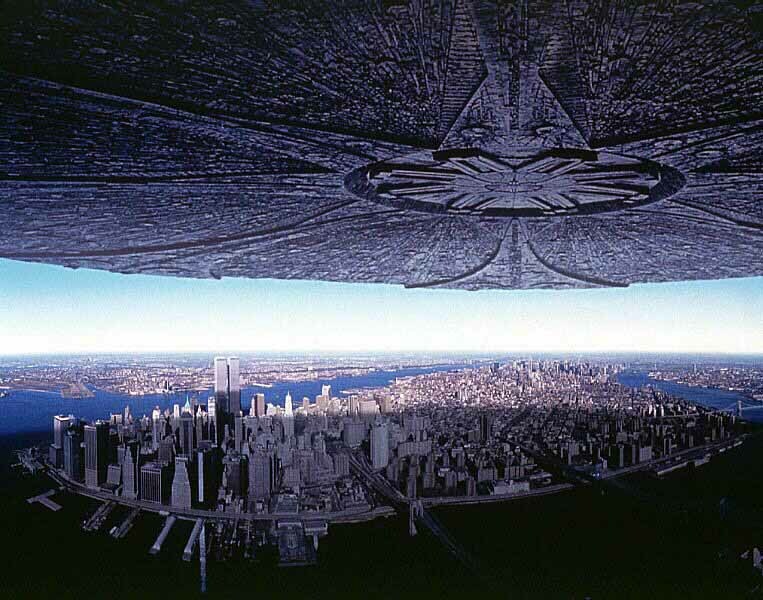 Ultimately and predictably, humankind wins in the July 4th battle, making the date the worldwide “Independence Day”. Yes, the ending scenes of people celebrating will bring you to tears, and will remind your veteran relatives of what they are fighting for on Veterans Day. The Regents are a humaoid extraterrestrial specie donning technologically advanced battle-armor. They are humanoid in appearance, with eyes sensitive to the sun’s rays, four fingers, and thick bristles on the skin. In 2005, their home planet, “Planet-G” was discovered. Mankind sent a direct signal to the planet, seven years later, a reply came: a scouting party of the Regents arrived in five ships, with their communications ship crashing in Hong Kong. These aliens have invaded and destroyed other worlds, and have set their sights on planet Earth. (which took the lead role), JDSF’s Myoko and the legendary USS Missouri. 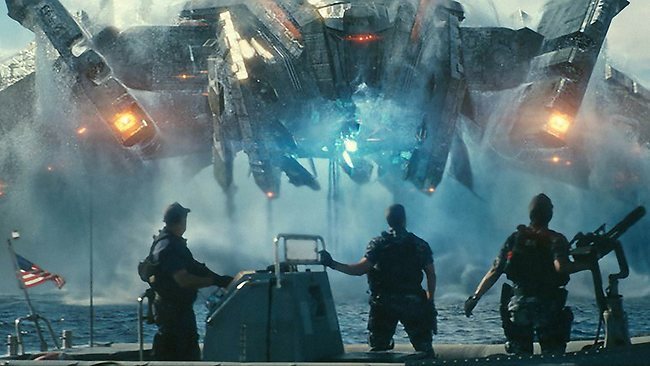 Here’s the Missouri battling an alien craft. 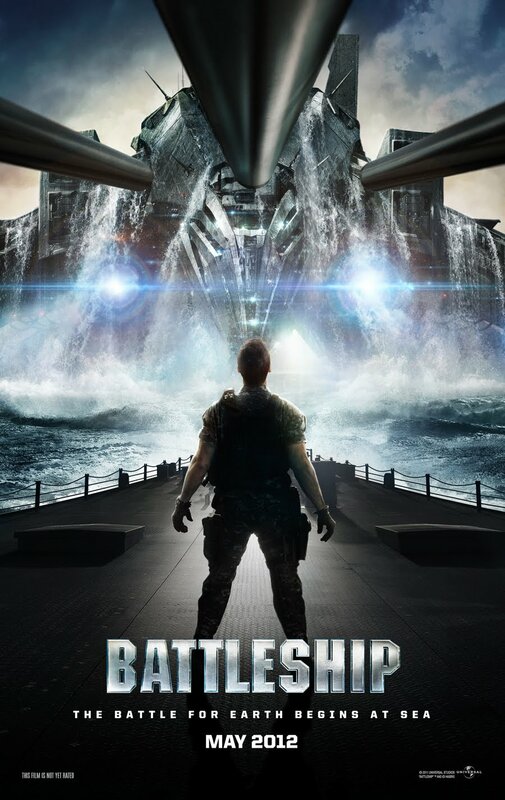 Overall, this movie is sure to entertain the whole family, and bring your Veterans Day celebrators talking about their experiences in navy ships. So, after the family dinner, why don’t you guys top off Veterans day with these movies? They will surely put a smile – or even a tear – on any war veteran’s face.